The mandate of Global Affairs Canada is to manage Canada's diplomatic and consular relations, to encourage the country's international trade and to lead Canada's international development and humanitarian assistance. _________________________ Le mandat d'Affaires mondiales Canada est de diriger les relations diplomatiques et consulaires, d'encourager le commerce international du pays et de mener les efforts du Canada en matiere de developpement international et d'aide humanitaire. The allegations of a ministry attempting to silence victims should be concerning to all Canadians. Global Affairs Canada has updated its official travel advisory for Venezuela to warn Canadians to avoid all travel to the South American country because of the ongoing humanitarian and political crisis there. Global Affairs Canada says Albertan Sarah McIver has been released from custody in China and returned to Canada. 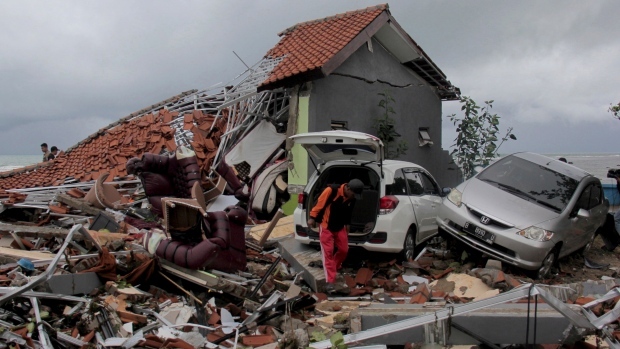 Global Affairs Canada says it is not aware of any Canadians who were injured or killed by a tsunami in Indonesia. A spokesperson for the Minister of International Development also said that Canada has not been asked to provide any aid yet by Indonesia. A third Canadian citizen has been detained in China, according to Global Affairs Canada, but it’s unclear if it’s related to the arrest of a prominent Chinese executive in Vancouver earlier this month. Why Nudge.ai? Reach out to the decision makers at Foreign Affairs and International Trade Canada with a personalized email - let them know that you found their recent news mention interesting. Nudge.ai’s relationship intelligence platform can help you find the right executive to reach out to at Foreign Affairs and International Trade Canada, such as Thierry Weissenburger, Head of Innovation, or Alia Dedhar, Canadian Consulate General In New. Then get in touch and start a conversation. Executives can be difficult to reach, but every company has connectors who bring together people and ideas. At Foreign Affairs and International Trade Canada, people like Todd Barrett, and Andrew Keenan are likely connectors. Who in your network can introduce you to Foreign Affairs and International Trade Canada? Nudge.ai finds the best pathway to reach contacts at this company.